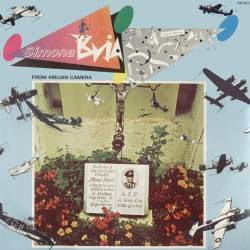 The group was founded in 1980 by Angelo Bergamini, and was a pioneering act of the Italian synthpop scene, eventually being the first Italian group to be signed to Virgin Records. Between 1982 and 1984, Bergamini also played in the Italian italodisco group Hipnosis, which earned a platinum record for album sales in Germany, and had a top-10 hit throughout Europe with their single "Pulstar". During the eighties, Kirlian Camera's sound became progressively darker, moving away from the synth pop sound dominating their earlier releases. In 1993, they signed to the German label Discordia. 1995 saw them collaborate with labelmates Dive on Obsession EP. While the group's lineup has constantly changed over the years with many members joining and leaving, it has been relatively stable since 1999, with songwriter Angelo Bergamini being joined by full-time singer Elena Fossi. 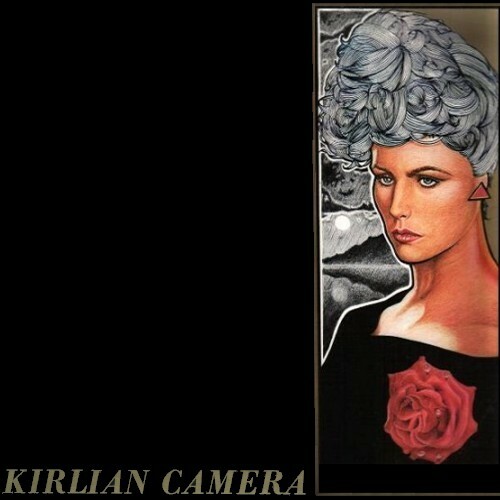 On 26 April 1999, Kirlian Camera was drawn into the then-current sensationalism over Goth culture when they were off-handedly mentioned by social scientist Alfred Schobert in der Spiegel, in an interview printed as a sidebar to a 4-page newspaper feature on the Columbine High School shootings. Schobert contended that the group (along with Death in June and Boyd Rice) was an example of a "neo-fascist element" in contemporary goth and EBM music, and accused them of performing a Hitler salute onstage. In their next cd, the group issued a communique, stating that they were offended by the witch hunt against them, but that they wanted to keep their political opinion to themselves, refusing to place the band within one specific political orientation. They denied that they were right wing extremists, pointing out that past member Nancy Appiah was Ghanaian, and that they sing lyrics by the Jewish-German poet August Stramm. However, they were not allowed to respond in der Spiegel, and as a result show cancellations and protests by Anti-Fascist Action continued to dog them through 2002. Furthermore, from interviews, one could learn that Angelo Bergamini does not state his own political preferences, and that the women from the band are oriented rather towards the left.